Let’s stipulate at the start that progressives hyperventilate about virtually anything conservative anytime it’s brought up. Judge Kavanaugh’s confirmation hearings aren’t an exception, apparently. This article fits into that category. There was a point when Judge Kavanaugh looked inquisitive but there wasn’t a point when he looked worried. I did a little digging into the SCARHRC. What I found in their minutes is rather interesting. What I found in their minutes is essentially the DFL social issues agenda. I wish I could say that I’m surprised but I’m not. For instance, one thing I found in the SCARHRC’s minutes is where it identifies “Students for Social Justice” and the DFL as “multicultural organizations,” with the implication being that the DFL is a tolerant organization. That implication is BS, as I highlighted in this post. There’s a significant portion of the DFL and DNC that are fascists who claim that they’re fighting fascism with fascist tactics. White nationalist/supremacist, anti-Semitic and other hate groups exist throughout the country, including Minnesota. Additionally, some hate groups have posted flyers at colleges and universities in our state and region. It isn’t surprising that leftists haven’t included Antifa and BLM in their list of hate groups. Robert Reich’s opposition article is proof that Democrats refuse to listen to the American people. 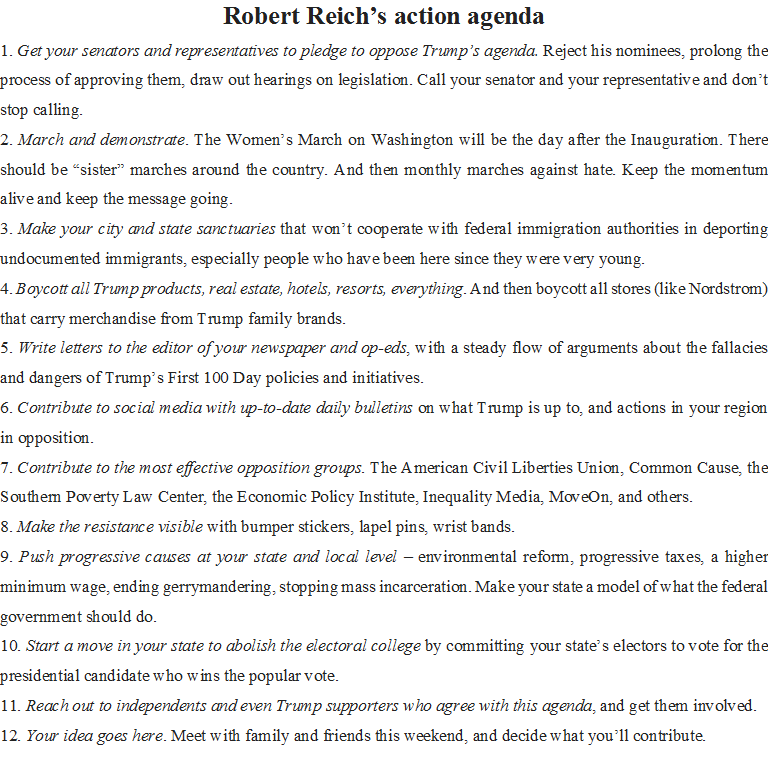 In his article, Reich called for progressives to fight the Trump First-100-Days Agenda, listing off actions progressives should take. He listed 12 action items, none of which do a thing to solve a pressing problem. Couple this with Chuck Schumer’s promise to Rachel Maddow that he’ll do anything possible to prevent a Trump Supreme Court justice nominee from reaching the high court unless Sen. Schumer deems the nominee a mainstream nominee. Schumer promises to lead the opposition to fixing the Anything But Affordable Care Act, aka Obamacare. 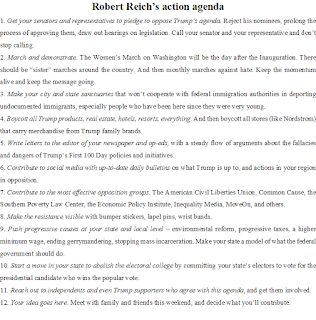 Combine Sen. Schumer’s promises with Reich’s action plan. 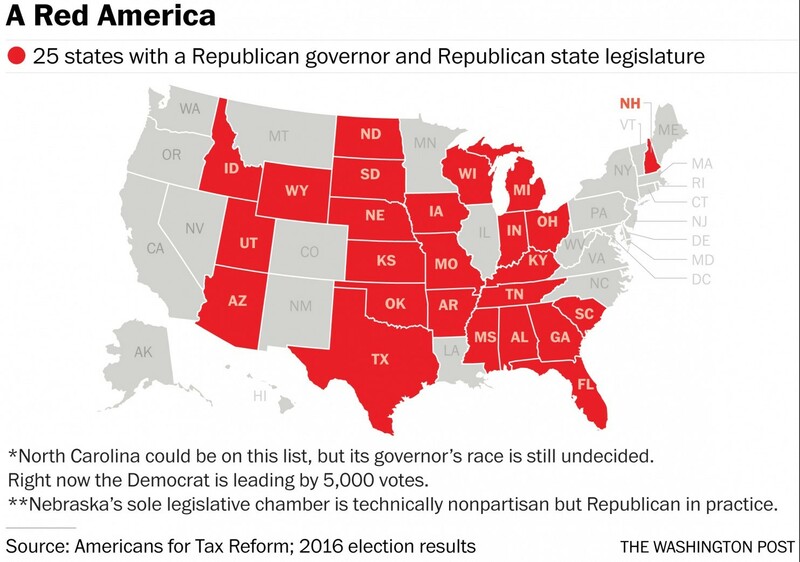 It doesn’t take Albert Einstein to figure out that Democrats plan to a) take a hard left turn, which will make them less popular in the all-important swing states than they already are and b) be all opposition all-the-time. Start a move in your state to abolish the electoral college by committing your state’s electors to vote for the presidential candidate who wins the popular vote. This is anti-American. 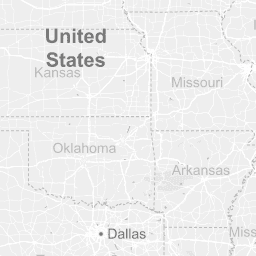 We’re known as the United States of America. Winning landslides in California, New York, Illinois and winning a handful of other reliable left wing looney bins won’t unite the country. This idea should be immediately rejected by people of all political stripes. I’ve always enjoyed watching conservatives debate progressives. I especially appreciate it when the progressive hasn’t thought things through. Fortunately, that happens relatively frequently. A great case-in-point was when Tucker Carlson debated Alex Uematsu, a student protest organizer attending Rutgers University, about immigration policy. Thanks to this mismatch, the progressives’ immigration policies were exposed as intellectually flimsy. Another thing that was highlighted was the fact that Tucker Carlson’s new show will be a major winner and that Carlson is destined to be FNC’s newest star. The intellectual mismatch started when Carlson asked Uematsu “who has the right to come to the United States? You apparently assume that these people have the right to be on your campus, taking a state-subsidized education. Who has a right to come to the United States”? The frightening part, though, was watching Mr. Uematsu sit virtually motionless when Carlson said that illegal immigrants are a net drain to taxpayers. It was apparent that Uematsu wasn’t taking in Carlson’s information because it was different than the propaganda he’s been fed by his professors. Thus far, Carlson hasn’t suffered the liberals he’s interviewed. His aggressive debating style, combined with his unwillingness to let the left’s false premises stand without contesting them, have helped him shine. He’s 3 shows into his primetime career but it isn’t overstatement that he’s a gifted host and interviewer. 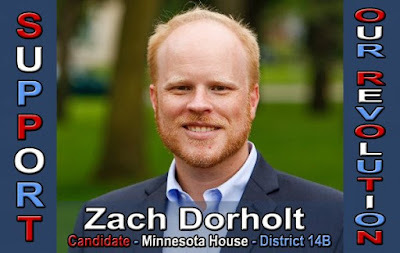 There wasn’t much doubt about whether Zach Dorholt was a far left lefty going into this campaign. He’d voted for the biggest tax increase in Minnesota history. He voted for the biggest spending increase in Minnesota history, too. Of course, Dorholt said he voted for the tax increase to pay for property tax relief. It’s worth noting that Dorholt’s property tax relief didn’t appear. The things that Dorholt voted for that did appear were the tax increases and the Senate Office Building. Among the other things that appeared were taxes on small businesses and farmers. When Dorholt returned home, he got an ear full from business leaders for his vote on those tax increases. It didn’t take him or the DFL long to change their minds on those tax increases. The first order of business when they returned to session in 2014 was to repeal some of the tax increases they’d passed the previous session. Bernie Sanders’ policies are to the left of Barack Obama’s — by a country mile. Others that Our Revolution endorsed include Keith Ellison and Raul Grijalva, co-chairs of the Congressional Progressive Caucus, Rep. Marcy Kaptur and Russ Feingold, the man that tried to limit political speech with the McCain-Feingold legislation. There isn’t a centrist in this bunch. The fact that Our Revolution endorsed Dorholt and Ellison speaks volumes about Dorholt’s politics. St. Cloud might not be conservative but it isn’t far left socialist, either. That’s who Bernie Sanders is. That’s who Keith Ellison and Raul Grijalva are. Apparently, that’s who Zach Dorholt is, too. This weekend has been a banner weekend for progressive stupidity. I wrote this article to highlight E-Democracy’s anti-Christian bigotry. This morning, E-Democracy was upping the ante, saying in this tweet “Franklin Graham to bring program of hate to State Capital next Thursday. 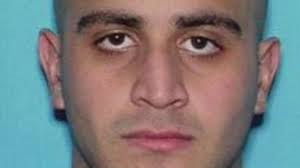 Later this morning, E-Democracy posted this tweet, saying “The Tampa LGBT Murders: http://bit.ly/1YkK75B” That’s a week’s worth of stupidity in a single morning. Unfortunately, that’s far from the comprehensive list. E-Democracy tried painting Franklin Graham as a hater. The lefty groupthink activists tried painting Christians as haters, too. That spin was obliterated when it came face-to-face with real haters and real homophobes. All it took was a lightning-quick dose of reality. In Joe Davis’s Minnesota, every Republican wants to cut taxes for “millionaires and billionaires” and evil “big corporations.” It’s important to highlight the fact that Joe Davis’s Minnesota, at least the one he talks about in public, doesn’t exist. Joe Davis’s Minnesota is just as imaginary as Joe Soucheray’s mythical empire of Gumption County and Garrison Keillor’s Lake Wobegon. The key difference, though, between Gumption County, Lake Wobegon and Joe Davis’s Minnesota is that Davis won’t admit that his wild statements about Minnesota Republicans are a myth. It’s time to run Davis and his dishonest quislings out of Minnesota.